Oxford TEFL > Blog > Barcelona > How much does it cost to live in Barcelona? How much does it cost to live in Barcelona? Are you thinking about moving to Barcelona to take your Cambridge CELTA course but you are not sure how much money to save or what your costs are likely to be? We have compiled a list of likely costs for one month in Barcelona to help you get an idea of budget and plan for your stay more effectively. *Course fee at Early Bird rate. Check our website and Facebook page for any other special offers. You can check what is included in the course fee here. Prices can vary depending on neighbourhood, number of people living in the apartment and facilities. We offer all our trainees an accommodation service for €475 in a shared apartment including rent, bills and assistance. Barcelona is easy to walk or cycle around and is fairly flat. If you prefer public transport, the fee is €1 per journey. Taxis are not expensive but costs can add up if you use them regularly or late at night! Most people who are living in Barcelona short-term or temporarily choose to rent a room in a shared apartment. Due to the frequency with which people come and go in Barcelona, it’s pretty easy to find something for €350-€400 (plus one month deposit), though this will likely be a single room, possibly without a window (which is very common in Barcelona). Room rental prices are likely to be lower in the low season (November – March) when there are fewer tourists and therefore fewer holiday rentals. Food and drink could be around €50-€75 a week, if you prepare meals at home, shop in the markets and don’t spend unnecessarily on drinks and extra snacks while out and about. This would also cover a few beers at the weekend (€2 approx each). In Barcelona there is plenty to do which doesn’t cost a penny! From hiking the hills surrounding the city, to beaching it up and browsing the vintage or food markets – it is difficult to get bored here! Museums are free to enter on the first Sunday of every month. Increasing your accommodation budget slightly will make things a little easier for you if you’d like to live in a particular area or with only one other person, for example. You might find that spending a little more on your room with also mean a more modern, larger or better-equipped home which will make studying or flat sharing easier. Barcelona is home to a vast array of restaurants and bars all ready to be explored. Having a more flexible budget will allow you to eat out occasionally without breaking the bank. A ‘Menu del Dia’ (a three course meal at lunchtime) is typically €10 – €13 and dinner out could cost €15 – €25. Add a bottle of wine for €15 and share the costs with a friend and you are still within budget, even if you do this every Friday night. With this budget you can also buy some higher-priced items when doing your grocery shopping or stocking up on more organic produce. Let’s not forget the countless opportunities to join yoga classes, attend concerts and enter clubs for little more than €5 a time. Other events such as Palo Alto market, Piknik Electronic or the Cine Montjuic can be enjoyed for around €6 and is an entire day or evening of entertainment. If you prefer to live alone or in a swankier apartment, the sky is the limit. From €550 you can rent a good double room in a shared apartment. Your own one/two/three bedroom apartment could be more like €800 – €1200. If you opt for your own apartment, you can expect to pay a two month deposit plus a one month agency fee which will push up costs considerably. This option is usually chosen by those who have decided to stay long-term. Summer months can push the price up higher. With this budget, you will be able to eat out at more up-market restaurants and get more taxis around the city. Depending on the type of class and the number of hours you work per week (20-25 hours per week is normal) your salary can be anywhere between €1000 and €1500 per month. Do the math and you will see that English teachers in Barcelona are not big earners but if you budget wisely and make good decisions, you can live comfortably. If you would like to obtain an internationally-recognized TEFL certificate in Barcelona, apply for the course here or get in touch and we will be happy to answer any questions to help you start off in the best possible way. 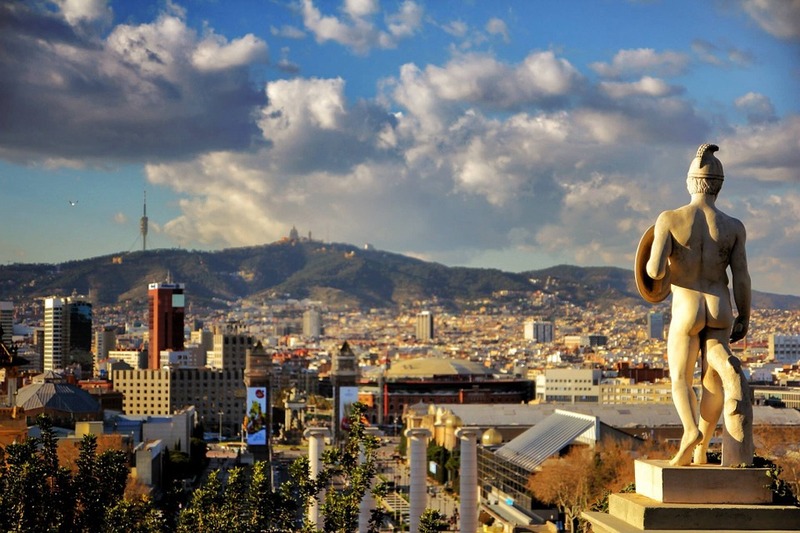 This entry was posted in Barcelona, News, TEFL, TESOL, Tips by Fran Austin. Bookmark the permalink.